We specialize in transmission repair and service. We have ASE Certified mechanics and technicians specializing in all makes & models. We pride ourselves in transmission repair, customer service and we always work hard to ensure we provide the best customer experience. Contact us today and let our team of transmission repair & service experts analyze & determine the best repair solution for your car. Is your car giving you troubles? Looking for service and repair at a price that is fair? Look no further than Economy Automatic Transmission for professional transmission service. 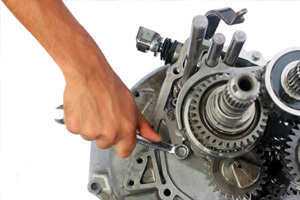 We specialize in transmission repair and service. Economy Automatic Transmission committed to maintaining a highly ethical and sound business practice in order to meet and exceed our customer’s automotive needs. From Automatic to Manual Transmission, we've got you covered. No Matter what your Transmission Repair Needs are, We can Handle Everything!